About a year ago I came across a video that showed a game extremely similar to Diablo 2 (the style only, of course). I discovered that it was a game still under development by a producer called Grinding Gear Games of New Zealand. As a D2 fan, I started to follow all the videos narrated by the creators themselves. As soon as the first Open Beta Weekend came out, I signed up and started to focus on all aspects of the game. For a free game, it's simply sensational. Path of Exile is an RPG that takes place in the bleak and obscure world of Wraeclast. In exile from their homeland, players find themselves on the shores of this continent where they will face the bizarre evils together or solo with the choice of seven classes (Marauder, Ranger, Duelist, Templar, Shadow Witch and Scion). Each class has a very well designed look and fighting style that, while being very particular to each character, can be developed for any style through the complicated, intrinsic and almost endless "tree" of skills. For example: Shadow begins by assigning his right skills as speed and dexterity and then can begin to explore the territory of a barbarian or a witch, it is at his discretion. It's a unique and very rewarding way of customizing your character, balancing the progression of the exile very well with the level of each quest in the game. Truly innovative. For those who already accompany (and play) Path of Exile, the RPG-action label always comes up in forums and is received with several gems, but the origin of the game is very traditional and also mixed with the freedom of its contemporaries, transforming the game into something genuinely special. The classic isometric perspective transforms the gameplay into something simple and agile, a necessary aspect in the most populous battles. The fight, of course, is a huge chunk of the game, and Grinding Gear Games has done a work that borders on perfection. The creators spent countless hours creating a bizarre and oppressive fusion between fantasy and realism, filling the fighting with blood and guts. The same can be said about sound effects, perfectly executed. The scenario is essential for a successful RPG, and PoE was right: producers have created a universe where the climate of abandonment, contempt, sadness, hatred, and desolation reign. From archaic dungeons to beaches filled with abandoned and haunted ships. All this solidifying the heavy atmosphere of the game. Impeccable graphics. As usual in RPGs, PoE is even better when playing in a group. The difficulty of the game begins to grow in the early stages of your character's development. That way, the more alliances are formed the better your chances of advancing in the game and your character's skills, the good old power leveling. 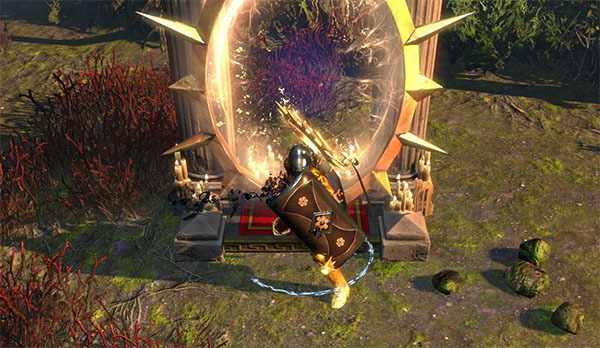 For a game that is still in beta, Path of Exile promises much more than Diablo III. It's a more captivating (and creative) alternative to the latest RPGs of the genre without detracting from its obvious influences. As one of the same producers said: "We are still worrying about the next 10 years of PoE development." 10 years! In a year of beta development, the game is almost perfect. Path of Exile will be an absurd success. It is well worth being part of the sensational universe of Wraeclast. For more Path of Exile tips and tricks, stay tuned to U4GM. You can choose www.u4gm.com where you can buy PoE items for trade cheap.